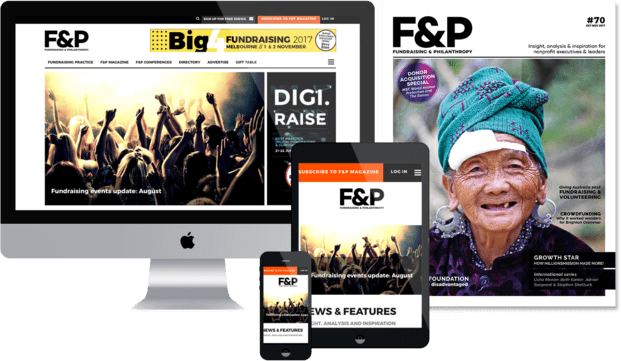 The keynote speaker at F&P’s Digi.Raise conference, the UK digital fundraising and marketing expert Bryan Miller, has offered tips for working out if a mobile app would be effective for your organisation, and revealed other trends he is seeing in the digital space. Uptake of apps for mobile devices by nonprofit organisations has often been an ineffective attempt to not miss out, because the decision hasn’t been well thought through. That was one message from the keynote presentation by UK digital fundraising and marketing specialist, Bryan Miller, at Fundraising & Philanthropy Magazine’s 2015 Digi.Raise conference in Melbourne on May 29. “A few years ago, charities were rushing to launch mobile apps … and it was like a little ‘comfort blanket’ thing to feel you were up there with the trends,” said Miller, who is the founder of the UK marketing and fundraising consultancy Strategy Refresh, and works with charities including Save the Children and UNICEF. There are two key instances when he said an app can be effective. One is when there is a high frequency of transactions – for example JustGiving’s Sponsored Event Fundraising app, which shows users when friends donate to them, without them having to constantly check a website. The other is when the app makes clever use of the functionality of a mobile device, adding value that users couldn’t get through a website – for example the WoofTrax App, which clocks the distance walked by dog-walkers, then the app’s corporate sponsors make donations per mile walked. Miller also recommended not-for-profit organisations use the Gartner Hype Cycle methodology, as a tool to assess digital innovations and avoid investing money and time in a new technology or trend before it has achieved mass adoption by consumers. Discussing how to use social media effectively, Miller said charities are increasing their reach and impact when their content is relevant to their audiences; and when they shift from the “me” focus of traditional direct mail and individual giving programs, to the “we” focus more typical of community fundraising. The example he gave was the Speed of Light campaign by SolarAid (speedoflight.io) which offered people an opportunity to buy a solar light in rural Africa then select contacts from their social network to receive a group ask. Caption: A group giving proposition has helped SolarAid’s Speed of Light campaign reach beyond the individual to their networks.